Anaheim: Some of Marvel’s top Avengers have assembled to support a $5 million donation to benefit seriously ill children in hospitals around the globe. Robert Downey Jr, Chris Hemsworth, Scarlett Johansson, Jeremy Renner, Paul Rudd and Brie Larson helped unveil the donation of money and toys to benefit charities and children’s hospitals at Disney Resort in Anaheim, California, on 5 March. “More than any time, it’s a time to give back to these courageous kids who inspire us,” said Downey Jr, who stars as Tony Stark aka Iron Man. 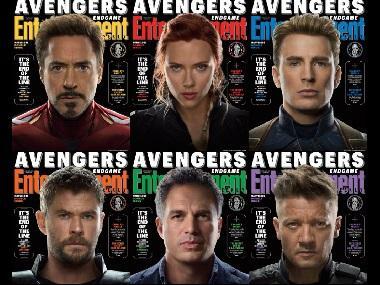 After the announcement, several of the Avengers: Endgame stars — including Johansson, Renner, Rudd and Hemsworth — visited kids from the local Boys & Girls Clubs to play at the LEGO store in downtown Disney, where toys with their characters’ likenesses were unveiled. Toys and products from the new Marvel superhero film will be sent to children’s hospitals throughout the country as well as Give Kids the World, a non-profit resort in central Florida. Disney donated $1 million to the Starlight Children’s Foundation, which brings entertainment and education to children facing life-threatening conditions in several countries, including the United States and Great Britain. The LEGO group, Hasbro, Funko and Amazon collaborated to donate more than $4 million to children’s hospitals around the country. Rudd, who stars as Ant-Man, said he is grateful to be a part of the initiative. The actor said he has worked closely to help raise money for the Children’s Mercy Hospital in Kansas City, Missouri.